These teff falafels are tasty, versatile and one of my favourite things to have on hand for a flavour-and-nutrient-packed lunch. They’re also a great plant-based way to add protein to a meal. Particularly as Teff (a pseudo grain similar to quinoa) is one of the highest content grains on the market at the moment! 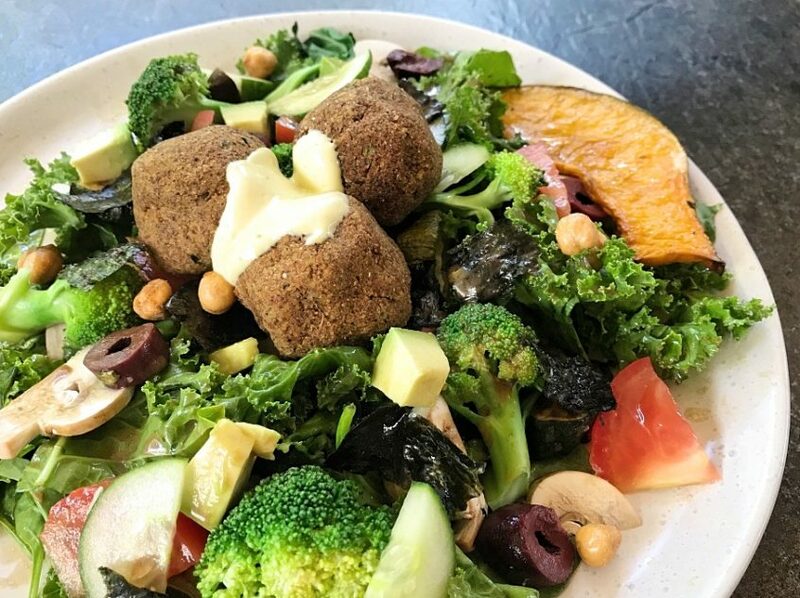 Use what you have on hand at home and improvise as you need with these ingredients and flavours, make these falafels your own! For the Teff, I use Teff Tribe products but there are other brands out there as well! Place all ingredients in a food processor and process until combined (a few chunks are ok). Roll into golf-ball sized balls. Place on a baking tray lined with baking paper and bake in a 180 degC oven for 20-25mins, until golden. Serve hot or cold in any way you like, some ways I like them are:Like a burger patty in a lettuce (or regular) bun with tomato, cucumber, onion and some of my beetroot and horseradish dip or hummus. With any salad of your choice. With some hummus or cottage cheese, tomato and cucumber on a rice cracker/ryvita/seed cracker. Crumbled over roasted veggies or through a salad. In a wrap with spinach, tomato, onion, hummus and other delicious vegetables. Are you using the Teff flour or the Teff seed?